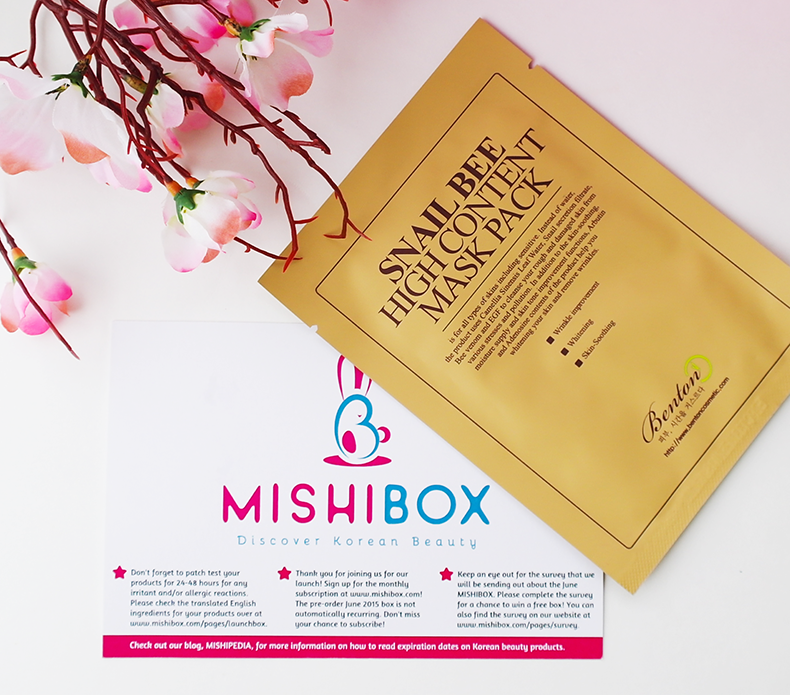 Bookish Lifestyle: Beauty Review: MISHIBOX - Korean Beauty Subscription Box! 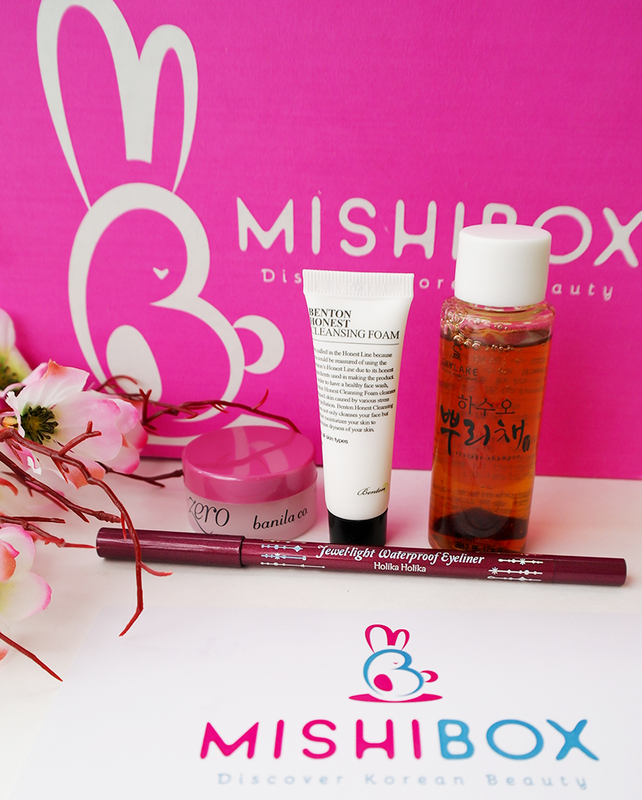 Beauty Review: MISHIBOX - Korean Beauty Subscription Box! 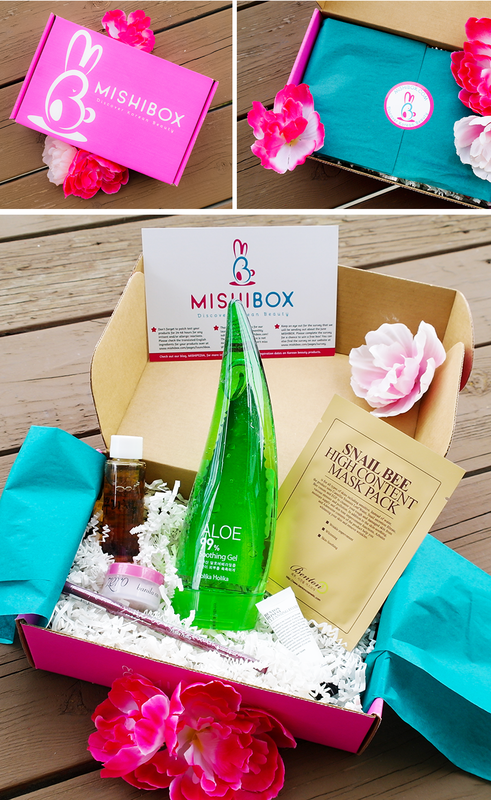 Today, I am extremely excited to share with you my review of the very first MISHIBOX that arrived at my doorstep just yesterday! The cost of this monthly subscription box is simply unbeatable - $19.95!!! And, amazingly, you can choose to subscribe for the entire year (and save $12), or buy one box at a time. 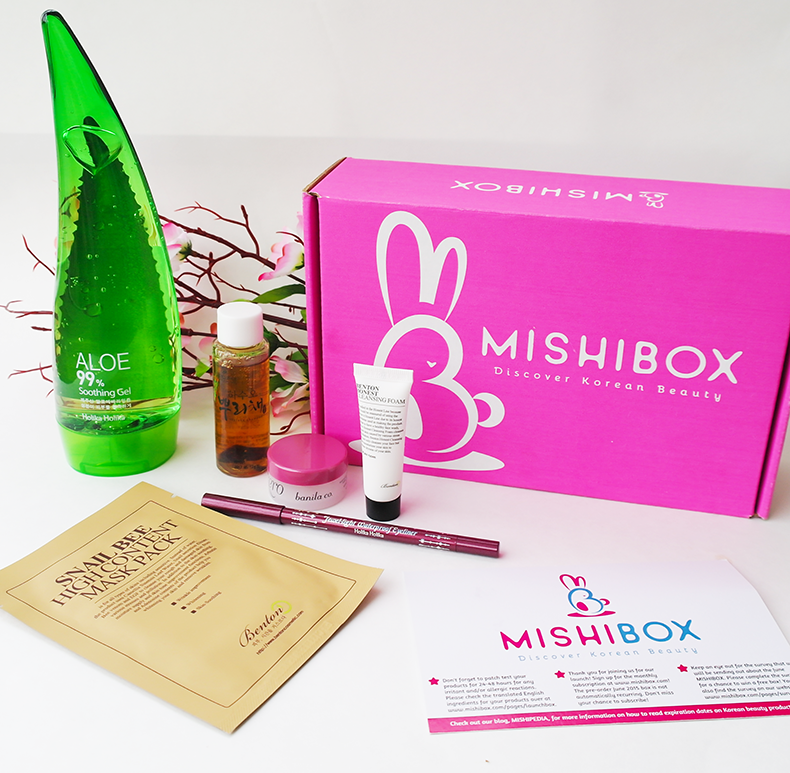 When I got mine yesterday, I was so excited and happy with the products included, I immediately hopped over to MISHIBOX website and ordered the July box (the June ones aren't available anymore - all sold out!). An award-winning and bestselling cleansing oil balm to easily remove makeup and other impurities. Gently cleanses your pores. Massage your face with appropriate amount and then wash off with warm water. My thoughts: I have only used it once so far and haven't yet figured out the best way to work with this stuff. It's unlike anything I've tried before, with a soft and waxy consistency. It's definitely not for removing a waterproof mascara or eye-liner (trust me, I tried), but I like the soothing feeling on my skin and how moisturizing it feels. I suggest removing your eye makeup with wipes prior to using the cleansing balm. Hypoallergenic facial cleanser that uses many natural ingredients to gently cleanse your skin, provide moisture, and minimize skin tightening. My thoughts: This stuff smells amazing! I used it after the banila.co cleansing balm and it was a great follow-up product. A small amount of this cleanser mixed with water is enough to wash your entire face. It lathers nicely and leaves your skin feeling clean, but not dry. I really like this product! 100% cotton sheet mask that uses natural ingredients such as snail secretion filtrate, EGF, and bee venom for anti-aging, whitening, and skin-soothing effects. My thoughts: I love this! This mask is probably my favorite product in June's box! You place it on your face after properly cleansing it and leave it there for about 20-30 minutes. The results are incredible! I have used sail extracts serums before and they really do wonders for your skin, so I knew from the get-go that this would be something I would like. And I really did! My skin felt pampered and moisturized. The essence smells fabulous and is a bit on a slimy side (not in a gross way). It has a cooling effect and makes your skin feel refreshed and healthy. I highly recommend checking this product out! This is a soothing gel that contains over 99% fermented aloe leaf juice. My thoughts: This is so soothing! I originally thought this was a shower gel and that is how I used it, surprisingly it worked pretty well. It obviously did not lather almost at all, but it still cleansed my skin nicely. This gel is amazing for relieving dry or itchy skin. Plus, it smells gorgeous (very natural smell). It's also very cooling, so perfect for hot kind of weather. I think I will be using it a lot this summer! My thoughts: I got the purple one and it's very pretty. 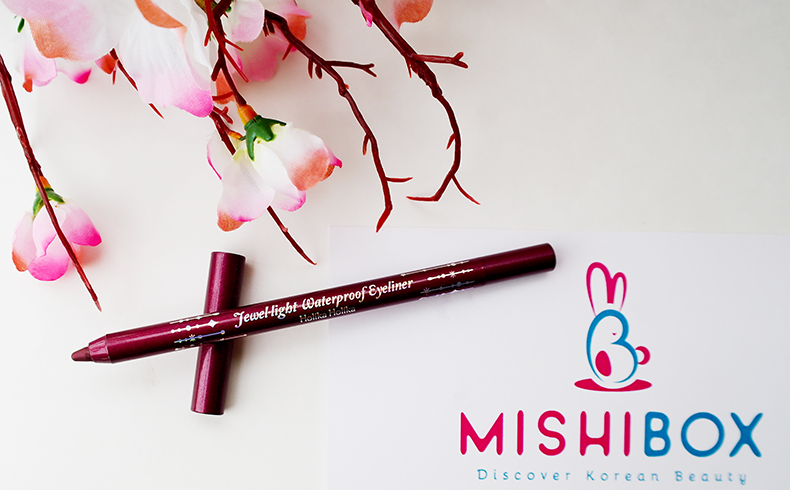 I haven't used it just yet, aside from a couple swatches, but I like how creamy it feels and how smoothly it goes on. It seems to be smudge-proof, which is just perfect because I sometimes forget myself and rub my eyes. The purple color looks very chic and I think, comes Fall, I will be wearing it very often! Natural shampoo formulated with the patented SKYLAKE oriental herbal extract. This product also claims to prevent dandruff, itching, and hair loss. My thoughts: I have been suffering from extremely itchy, dry scalp lately. Using the OrganiX Shea Butter shampoo only made it worse, so I've been searching for a new shampoo that would help treat the itchiness and improve the overall health and appearance of my hair. I heard some amazing things about this shampoo and I am hoping my frantic search is over. I'll keep you updated about the results! 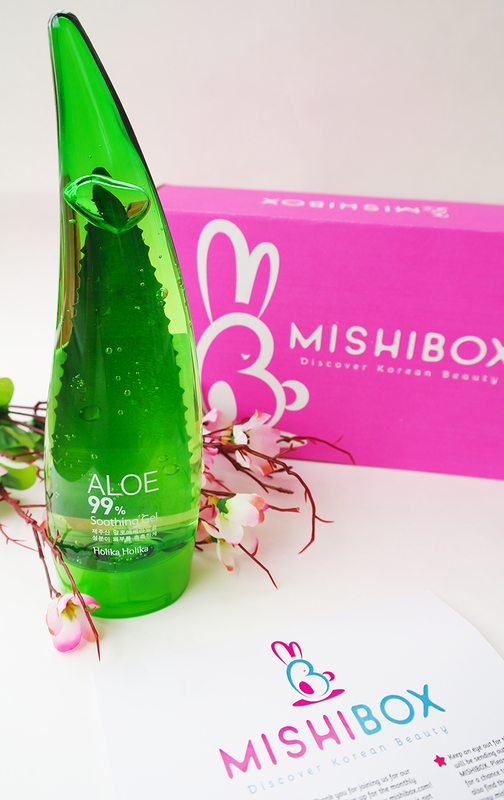 Disclaimer: I received the MISHIBOX free in exchange for my honest review. All thoughts and opinions are my own.